During my 32 years in the mass participation industry, I have been involved with numerous event postponements and cancellations with many more close calls. It is often challenging and each time there are key learnings that can be applied to future events. As with success in all aspects of a mass participation event, it essentially boils down to good planning. My recommendation is that every time you plan an event, your contingency plan should address potential cancellation or postponement. 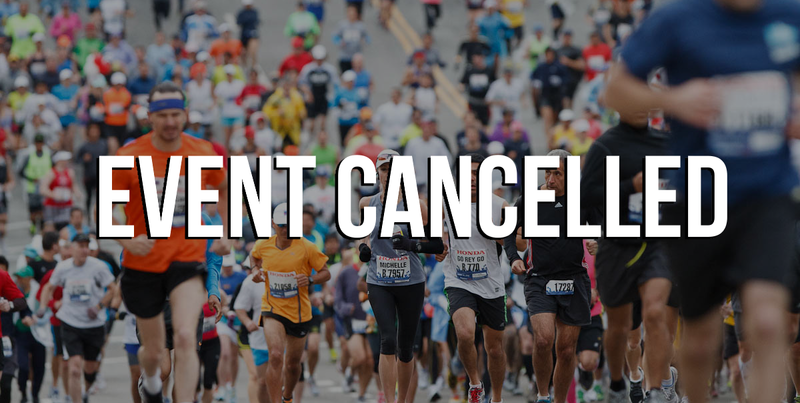 The mistake that people often make is to focus their plan on event day cancellation but the reality is that you may be forced to postpone or cancel an event weeks or even months before it takes place. Over the years, I have had to deal with actual and near cancellations or postponements for a myriad of reasons including the death of a participant, huge storms, haze, collapse of a major highway and even political demonstrations to name a few. More recently in October, out of respect for the passing of Thailand’s King Bhumibol Adulyadej, I made the decision to postpone the Mass Participation Asia conference originally scheduled for Bangkok in late November. In my opinion, the power of pausing cannot be overstated. Under pressure, it can be easy to rush into action and make decisions without all the facts. Ensure that you take a few minutes, hours or even days before making an informed and considered decision. Together with your core or crisis team, gather as much information as possible and evaluate it, ideally against your existing contingency and crisis plan if you have one, before making a provisional decision and action plan. Engage with key stakeholders, share your proposed course of action with them and seek their feedback. For example, in the case of MPA in Bangkok, this included Thai government officials, our event partner in Bangkok, sponsors, key speakers, staff and the venue. Confidentiality is crucial at this stage if you are to manage the communication process effectively. Sometimes, you may be in the awkward position of deciding not to consult with a particular partner if you have concerns that they may leak the decision before you officially announce it. On occasion, the process may be more on a basis of ‘for your information rather than in consultation. For example, “I wanted to let you know before making the public announcement that as a result of the impending cyclone we have decided, as per the contingency plan, to postpone the event”. Revisit your plan and be prepared to reconsider or tweak your initial decision based on feedback and impact on your key stakeholders or participants that you may not have initially considered. Be confident in your decision and be conscious of the potential impact of politics from the usually multiple stakeholders. Once the final decision has been made, develop a very clear communication plan to be used across multiple channels including social, digital and mainstream media. Ensure that staff and stakeholders are fully briefed and that there are written answers to likely frequently asked questions. It is important to be clear on who will be the key spokesperson in the event of media enquiries. Once the decision has been announced, be sure to monitor the reaction from participants and public across all channels and be prepared to respond appropriately where necessary in a timely manner. At an appropriate time, conduct a formal review of the process and document any key learnings and recommended changes. Even though the cause of the next cancellation or postponement may be completely different, you can be certain that the learnings will be invaluable. The seven-step framework is also covered in detail in my book Mass Participation Sports Events available HERE. An author, dynamic International Speaker, High Impact Consultant and CEO of Mass Participation Asia, Chris gets up each morning to spread the incredible life-changing lessons of his 30 years in the mass participation sports industry so that he can help and inspire others to create a powerful impact on our world in their own personal and business lives. He has already impacted the lives of millions of people through delivering events across three continents.